If you’re into Eurorack, the chances are you’ve heard the time-honoured rhetoric once or twice before. “I started with a small skiff, but then I ran out of space!”. This can only mean one of three things: you either sell a module to make way for something new, sell the whole lot and buy a regular synth, or probably the most common conclusion, buy a bigger case. Well, if there’s one module that simply will not cause you issues with sizing, it’s the Disting, now in its mk4 incarnation. If you’ve come across the Disting before, this will look very familiar indeed, packing into the same pint-sized 4HP housing, with five mini-jack I/O points adorning the lower 60% of the module. Here, one thing is unchanged; the sockets still illuminate with a beautiful red-to-blue radiance, according to the nature of the signal and its strength or voltage. Who doesn’t like a module that looks like a disco strobe when in use? But more importantly, there’s now the inclusion of a small but perfectly formed dot-matrix display, which will show the selected algorithm number, and then scroll the function. This replaces the LED ‘dots’ which appeared on previous Distings and makes for much easier selection of algorithm. This is a pretty huge upgrade, as it will now take all of the guesswork out of the selection process. With the mk3, it would be entirely possible to select an algorithm, which you would think might correspond to the downloadable algorithm chart. However, with the various upgrades in firmware that would follow, it could be very easy to find that your selection process was out of step, so your algorithm favourite would move, leaving you to hunt around to find it. This game has ended, thanks to the scrolling of the selected setting, which nicely scrolls from left to right, leaving no doubt as to your selection. The other huge enhancement is the relocation of the SD card slot. The mk3 had this hidden on the rear of the module, but it can now be found on the front panel, nestling just to the left of the display. As we will discover later, there is greater implementation of the SD usage than with the initial mk3 release. As seen before on the mk3, the upper three jack points are inputs, labelled X,Y and Z, with the lower two being outputs labelled A and B. The Z input ultimately acts as a CV input to control the Z pot, which changes in functionality according to the selected algorithm. Let’s now turn attention to the actual algorithms, which is ultimately why you might choose to buy a Disting. What’s on offer is a little bewildering. 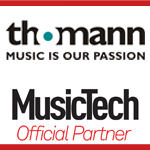 At one end of the spectrum, there are useful CV-based algorithms, which include CV quantising, LFO (free and clockable), envelopes, adders, and more, and then thereare audio-based algorithms which include oscillators, delays, waveshaping, bitcrushing and even a vocoder. Organisation of these elements is through banks, in which you will find 16 algorithms. Selection is made via the upper S pot, which can be both pressed and rotated. This takes a small degree of getting used to. Once navigation is understood, the dot-matrix display becomes something of a Swiss Army Knife for your modular. I found that with the Disting mk3, you would be more likely to either leave it set to your favoured algorithm, or have the odd couple of favoured choices assigned to the depths of your memory. Not here though, thanks to the elegance of the matrix display. You want to go exploring and see how your modular can benefit from having such an integrated device, but you will have to watch your outputs, as I discovered. Moving from one patch to another, with cables applied and volume cranked, could result in blasts of unexpected noise as you move from one algorithm to another. So, now it’s time to consider a few of the morsels on offer. I’ve always enjoyed having an easy clockable delay on offer with the Disting, so dialling this up as an old favourite brought forth something entirely familiar in both sound and operation. Jacking in a clock source, the mk4 locked quickly and easily, and sounded very tight indeed. Time for some audio – and I flicked to the vocoder. I have something of a ‘thing’ for vocoders, for which I equally blame Kraftwerk and Sparky, the Magic Piano, and this did not disappoint. Vocoders can be a little fussy, so using spoken-word and drum-loop content, the Disting grooved into life with crisp familiar vocoder tones. The help of a little audio attenuation for the modulating signal proved very useful and I found the Disting reacted very well, especially given the decay envelope control, which is offered via the Z pot on the Disting’s front panel. The oscillator modes offer both normal VCO-style operation and waveshaping. The first VCO-style oscillator gives a pairing of both Sine and Saw outputs, from the A/B outputs at the bottom of the module, with inputs for both the usual 1v/octave pitch control, and a secondary linear FM input, meaning that a further CV could be added. 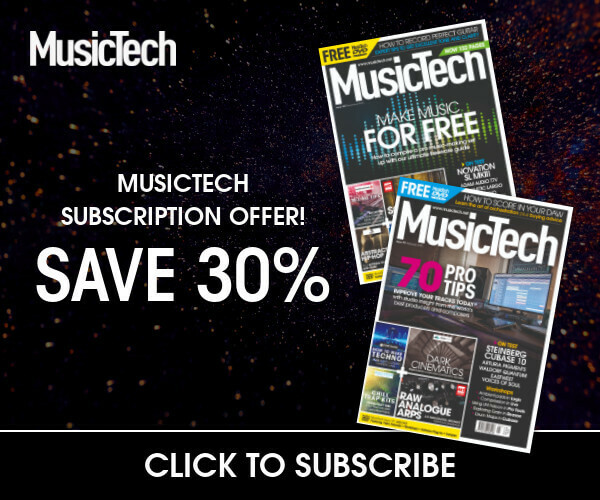 This might be especially useful if you wanted to connect a manually controlled LFO, for live playing. The VCO is bright and sharp and, as you’d expect for an intrinsically digital module like this, very accurate. The waveshaping oscillator is perfect for getting those interesting tones that many oscillators can’t obtain without an additional waveshaping module, although with a waveshaper algorithm available, too, you could just use this instead. Several filter types are also available, in all the favoured subtractive formats. Here, again, audio is crisp and accurate, and perfect for those tones that you want to keep more vanilla in texture. To this end, the filters could be highly useful in the utility sense, allowing for easy control of incoming audio that you might wish to filter in the bottom end. Really and truly, everyone could do with one of these in their Eurorack. Think of a CV-based function that you might need from time to time, but possibly not all the time and the chances are that the Disting mk4 can help out. That’s what makes it so useful. 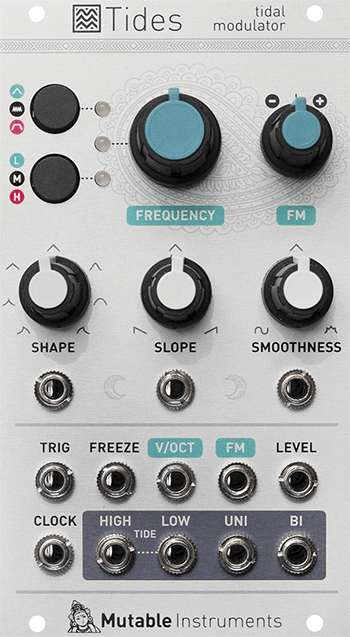 I do tend to use mine for a couple of basic functions for most of the time, but it’s the module that I turn to if I need a second quantiser, or a clockable LFO, or anything else. That’s the beauty; you can use it on many levels, or just use it for a few things that you can really trust. The addition of added functionality, through the SD card and firmware upgrades, will make it more appealing to people who might want to dabble with some audio in their system. As with many of these features, it literally does what you need it to, with the minimum of fuss, basic control and ultimately, it does what it does very reliably. Not surprisingly, due to its size, every skiff should have one of these, but if you have a larger system, it will still get plenty of use. Although nothing new to the Disting product line, the front-loading SD card slot makes use of the SD facilities more easily than before, and thanks to recent firmware upgrades, there are some very useful features to be had. 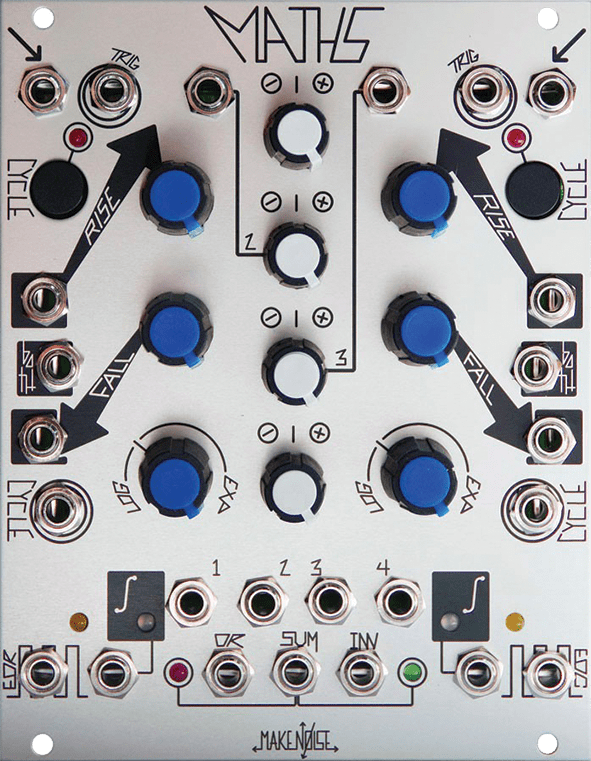 Firstly, this can turn the Disting into an audio-playback device, and what’s more, can function in Stereo, which is always a wonderful thing in the predominantly mono world of Eurorack. Samples can be triggered and triggers can be placed alongside the audio, set against the length of a loop, which means that it’s possible to generate a drum loop, and place a trigger pulse alongside it. This could, in turn, be used as a trigger, or used elsewhere in a system as a clock format, which opens up all manner of possibilities for including audio in the Eurorack environment. Another curious treat is the implementation of the Disting as a clockable, general MIDI file player. Type 0 MIDI files can be loaded and played back from the SD card, with varying degrees of CV control and generation. This is a curious notion, but if you think about it, could have far-reaching implications beyond the standard karaoke-style format. Given that it’s possible to control lighting via MIDI, this could start something in the live arena, where a performer could control a lighting rig within their Eurorack, and that’s an enticing prospect. As we already know, the Disting offers an insane amount of functionality, but the list of what it can do keeps on growing. As we go to press, the latest firmware update (v.4.3) now offers some tasty new morsels, the most significant of which is the ability to act as a wavetable oscillator, allowing the user to upload their own wavetables for playback, while offering significant control. You’ll also now find that new audio effects have been added, such as chorus and reverb, the latter operating in mono, stereo or mono-to-stereo. There’s also a raft of new and useful utility- and CV-based algorithms, such as MIDI-clock operation, dual quantiser, Euclidean Pattern Generation and Delayed Pulse Generation, so if the mk4 didn’t offer you enough already, now it’s positively brimming. Firmware updates are freely available from the Expert Sleepers website, along with handy info, in video form, on achieving this. Thanks to the helpful SD card slot, which is now mounted on the front panel, it’s an easy process, which can be completed reasonably painlessly. There are also some bug fixes, so it’s a worthwhile update on all levels. When we reviewed the Disting mk3 last year (MT 159), we mentioned that we thought that having one in your rig was something of a no brainer and this is still very much the case, in fact more so. The change of display to something that is altogether clearer and more pleasant to use makes the mk 4 even more appealing, and when you couple this with the frankly bewildering amount of functionality, all of which is useful on many levels, I simply cannot recommend this module highly enough. Everything it sets out to do, it either does well or very well – and as such, it’s difficult to imagine life without one, once you’ve got one in your rig. Having said that, there is a sense among current Disting owners that you could really use more than one of these, with some wanting to add a mk4 to sit alongside existing, older incarnations and this is understandable. I personally always found the display on the mk3 difficult to view and found it hard to remember exactly which patch was where, as these often changed with firmware upgrades. The transparency that the new display provides could allow previous incarnations to remain more static in operation, while the newer model could be switched to suit particular requirements, which makes it highly appealing. The menu navigation hierarchy is still a tad fiddly and will take a few goes to get to grips with, but it’s worth persevering, as the trade-off will be the ability to seamlessly move from one useful patch to another. In audio mode, it’s clean and sonically pure, with the audio and oscillator capabilities expanded to include wavetable playback: often the preserve of modules three or four times the price. In CV mode, there’s a bewildering array of functionality, again covering the basics available in single-use modules at an even greater price. 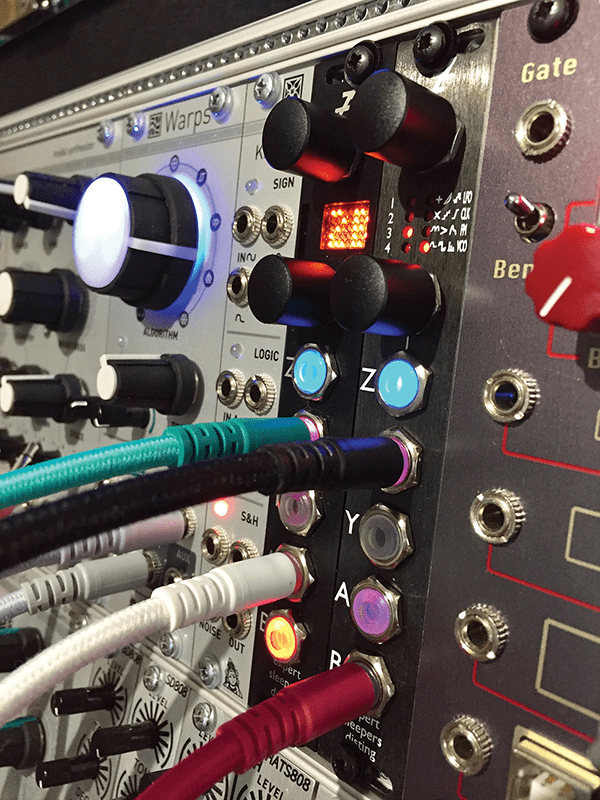 Frankly, even as a single-use module, this would not be considered expensive, so now you don’t need a bigger case – you can just replace several modules with a Disting Mk4. 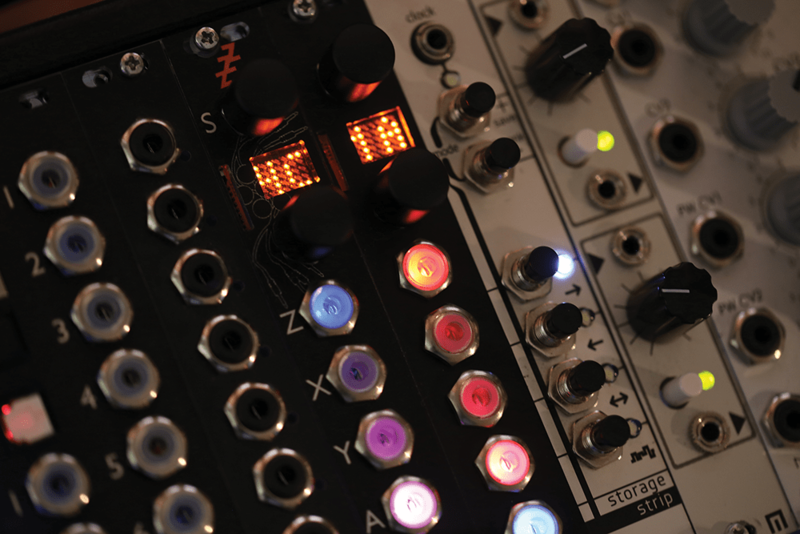 Much of the range from Mutable Instruments offer far more than the basics, with additional access to open source firmware upgrades. ‘Tides’ is an LFO on steroids and will function as a digital VCO and a module for great CV modulation. Though it lacks VCO functionality, the ‘Maths’ is another modular Swiss Army Knife. With roots set in the Serge-like past, it will happily act as envelope, attenuverter, LFO and more, thanks to numerous patching capabilities. Our fave is the current Mk2 model.